The Best Holistic Nutrition blogs from thousands of top Holistic Nutrition blogs in our index using search and social metrics. Data will be refreshed once a week. Holistic Nutrition newsletter is a comprehensive summary of the day's most important blog posts and news articles from the best Holistic Nutrition websites on the web, and delivered to your email inbox each morning. To subscribe, simply provide us with your email address. Facebook fans 158,343. Twitter followers 10,890. Nashville, TN About Blog Nutrition Stripped is a modern take on the science of nutrition and healthy living making it accessible, inspirational, and digestible. We believe feeling your best is a way of thinking, living, and showing up for yourself in body and mind. Follow this blog for healthy recipes, wellness articles. Facebook fans 17,230. Twitter followers 3,329. Los Angeles, California About Blog Elissa Goodman is now one of LA's premiere Cleanse Experts and Holistic Nutritionists. Elissa understands that proper nutrition is vital to living a fulfilled existence, and specializes in helping people achieve optimum health levels through cleansing and nutrition. Facebook fans 16,709. Twitter followers 2,658. Nashville, Tennessee About Blog At Hello Glow we believe health is a holistic idea that encompasses (among other things) our body, the environment and self-image. This well-being isn't about using fancy creams, hiring a personal chef or enlisting a feng shui expert. Facebook fans 34,528. Twitter followers 9,907. Nashville, Tennessee About Blog Hey y’all! I am a Certified Holistic Chef and food writer in my hometown of Nashville, Tennessee. My company LL Balanced is at your service to provide easy, nutritious, family-friendly recipes that will make eating healthy a pleasure and restore balance to your life. Facebook fans 3,473. Twitter followers 392. New York, NY About Blog A healthy food blog focused on whole food recipes (mostly plants) and wellness wisdom from a holistic nutritionist's kitchen. Facebook fans 2,492. Twitter followers 1,235. Loveland, CO About Blog Selene River Press is a publishing company specializing in holistic nutrition education. Our philosophy is rooted in the work of Dr. Royal Lee, who showed that vitamin deficiencies, due to processed foods, are responsible for most degenerative disease. Facebook fans 1,663. Twitter followers 385. Toronto, Ontario About Blog my name is Jaclyn and I am a Holistic Nutritionist. I work with women who are tired of yo-yo dieting and want to break free from diet culture and join the Holistic Foodie transformation. Facebook fans 426. Twitter followers 94. About Blog Sandra-bloom.com is a natural health, motivational wellness and holistic health platform dedicated to inspiring and empowering others to live their best life and enjoy their best health, vitality, confidence & happiness. Bloom is also the author of several wellness books that can help you transform your body and hair with little life and food tweaks that will make you look and feel as if you are ageing backwards. Facebook fans 139. Twitter followers 50. Nottingham NH About Blog Your one-stop shop for real food, nutrition education and holistic living. Erin Holt, Holistic Nutritionist, RYT B.S. Nutrition. This blog promotes functional nutrition & nontoxic living, as well as provides healthy gluten free, grain free, vegan and paleo recipes. Facebook fans 936. Twitter followers 46. Santa Barbara About Blog A Southern California holistic nutritionist offering personal wellness and nutrition programs for women's health and wellness in Santa Barbara. Facebook fans 885. Twitter followers 329. Boston, MA About Blog Exploring holistic nutrition and the therapeutic properties of whole foods in our everyday cooking. Make your meals and lifestyle work for your body. Facebook fans 637. Twitter followers 224. Okanagan About Blog Lutz Nutrition is blog by Raina Dawn who is a holistic nutritionist and coach to women who want to eat clean, organic food. Subscribe us to get nutritious recipes, motivation tips and more. Facebook fans 1,688. Twitter followers n/a. About Blog Recipes, nutrition tips, day-to-day adventures & much more! Through integrative and comprehensive programs, I work with my clients (individuals, families and corporate group) to help them reach their health and wellness goals. I offer nutritional consultations, health coaching, corporate seminars, cooking lessons, and other services in the Ottawa area and beyond. Facebook fans 1,810. Twitter followers 624. Tatamagouche, NS About Blog I provide clients with customized holistic nutritional health consulting, and address each individual's high-priority needs first. About Blog Certified Nutritional Therapy Practitioner, Larissa Spafford (NTP) of Bend Nutritional Therapy creates personalized nutritional plans to help you reach your goal. Facebook fans 849. Twitter followers 971. Canada About Blog Marissa Liana is a successful Certified Nutritional Practitioner, Health Coach and business owner of Marissa Liana Nutrition. About Blog Carol is a Holistic Nutrition Wellness Practitioner. She decided to study Holistic Nutrition as a result of her own battles with Systemic Lupus, Chronic Multiple Sclerosis, and Crohn's disease. Mumbai, India About Blog Luke has been involved in holistic nutrition, coaching and fitness ever since he graduated from IHM with specialization in food science and nutrition. He achieved his doctorate in Alternative and Integrative medicine and practices in that field across the globe. Facebook fans 228,947. Twitter followers 7,140. Melbourne About Blog Simple, delicious, whole-food, gluten-free and refined sugar-free recipes designed to nourish your mind, body and soul. The Holistic ingredient aims to inspire others to reclaim great health and boundless energy through the sharing of clean living tips, scrumptious & nutritional recipes and energy healing. The author Amy Crawford is a Wellness-practitioner. Facebook fans 38,519. Twitter followers 2,421. Facebook fans 1,001. Twitter followers 236. Edina, MN and Wayzata, MN About Blog Carley Mendes, Holistic Nutritionist. Naturally nourishing mama & baby through fertility, pregnancy, postpartum, first foods & beyond. Facebook fans 22,669. Twitter followers 597. US About Blog Learn about whole foods, plant-based diets, living and eating well from Delphine Remy, Holistic Nutrition and Eating Psychology Coach. Facebook fans 5,490. Twitter followers n/a. Toronto About Blog Sarah Goldstein is a Toronto and GTA based Holistic Nutritionist (CNP) and Health Advocate. Check out Sarah's blog for healthy recipes, health tips and lifestyle advice. Facebook fans 1,899. Twitter followers 528. About Blog My name is Glenda Britton, I’m a holistic nutritionist, wife and mother of 5. As a mother of special needs children and a former burnout victim – I have a goal to build a wellness community for moms like me. Women who seldom have the time for themselves as they busily care for their amazing families. Victoria, Australia About Blog Degree Qualified Nutritionist (BHsc) & Pilates Instructor Alex Mackay available for Nutritional Consults in Warrnambool and online. Plus weekly blog posts to empower and educate you to find the balance in your life! Facebook fans 704. Twitter followers 1. Toronto About Blog Amanda Laird is a holistic nutritionist, wellness advocate and host of The Heavy Flow Podcast,a show about the health and wellness topics. Facebook fans 539. Twitter followers 1,830. Richmond Hill, Ontario Canada About Blog Cathy Biase is a Toronto-based Holistic Nutritionist and Cancer Coach, promoting holistic health care in the prevention and treatment of disease. Facebook fans 534. Twitter followers 3,440. Bryan, TX About Blog Our founders came from a background in dietary supplements and sports nutrition and were looking for a different approach using holistic alternative supplements they could bring to the industry. The results was to develop a line of topically applied essential oil blends so they began researching wide ranges of naturally grown and pressed essential oils commonly used in aromatherapy. Facebook fans 5,756. Twitter followers 660. Framingham, MA About Blog Welcome! I'm Alli and I'm a Nutritional Therapy Practitioner living in Framingham, MA. I believe in the power real food has to optimize your health. I do not believe in a one size fits all eating style and will work with you to achieve your goals. About Blog I'm a Holistic Nutritionist, which means I look at the whole person, not just their symptoms. I'll look at lifestyle and social factors, stress, sleep, fitness and genetics. About Blog Improving your health! Specializing in diets for managing different diseases. Health programs, lifestyle & body systems assessment, supplements, blogs, recipes & more. Canada About Blog Edmonton Holistic Nutritional Consultant | Whole food recipes, nutritional information, tips, and tricks to make help make life a little easier. Melanie provides consultations as well as in-home workshops. 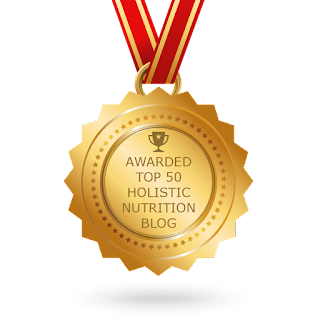 CONGRATULATIONS to every blogger that has made this Top Holistic Nutrition Blogs list! This is the most comprehensive list of best Holistic Nutrition blogs on the internet and I’m honoured to have you as part of this! I personally give you a high-five and want to thank you for your contribution to this world.